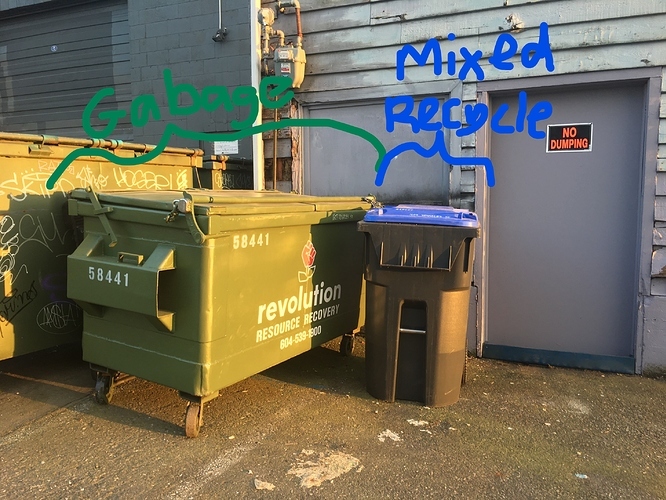 The General Garbage bin is for “PLYWOOD WASTE AND GENERAL GARBAGE” which allows for 5% organic waste that should otherwise go into compostables in a green bin. If you hate the idea of organics ending up in the landfill as much as I do, please consider packing out your food waste. THANK YOU! here is a list of material banned from our general waste bin.